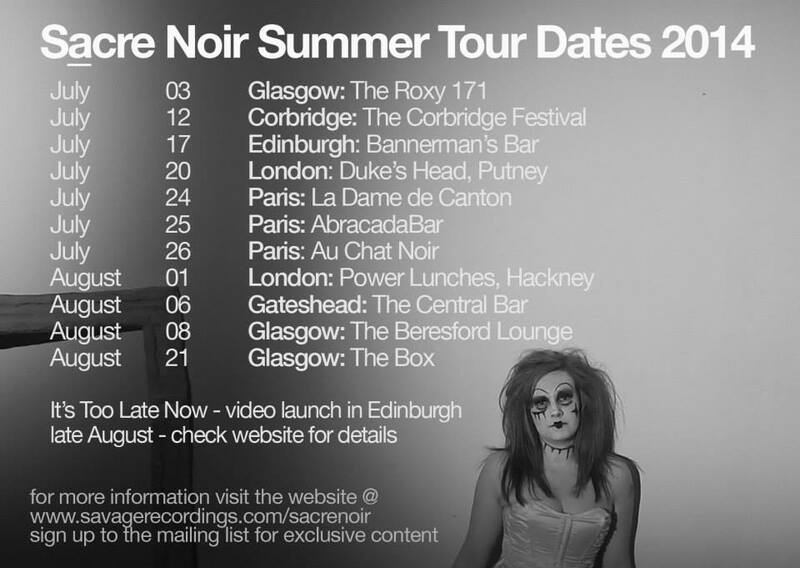 The first gig of the Sacre Noir summer tour 2014 was as a duo at The Roxy 171 in Glasgow, “a fantastic wee intimate space for live music”. 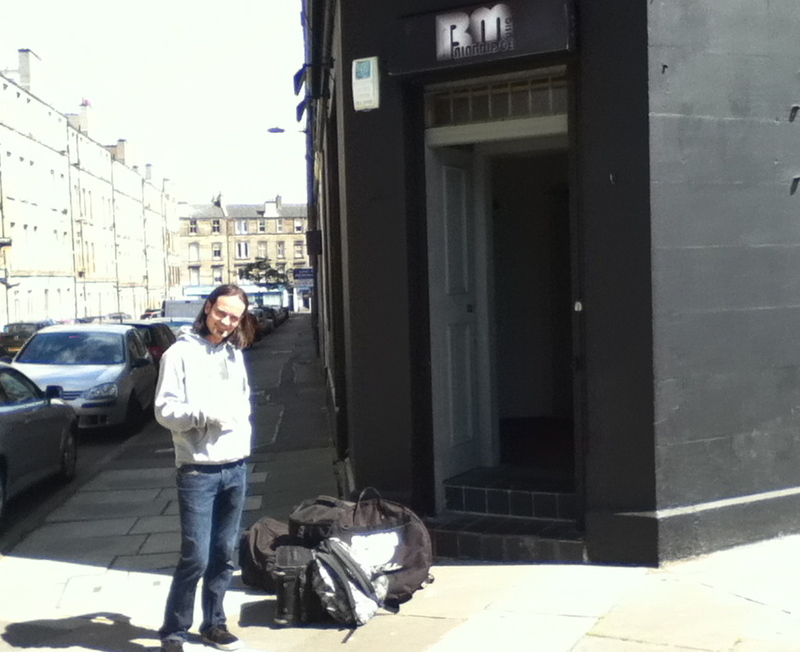 The bar upstairs is really lovely with super friendly staff and a cool menu, which included Buckfast Stew. We have been working with HouseCat Promotions when booking shows for this summer in Glasgow and the booker, Charly, did a fantastic job with the line up for this show. 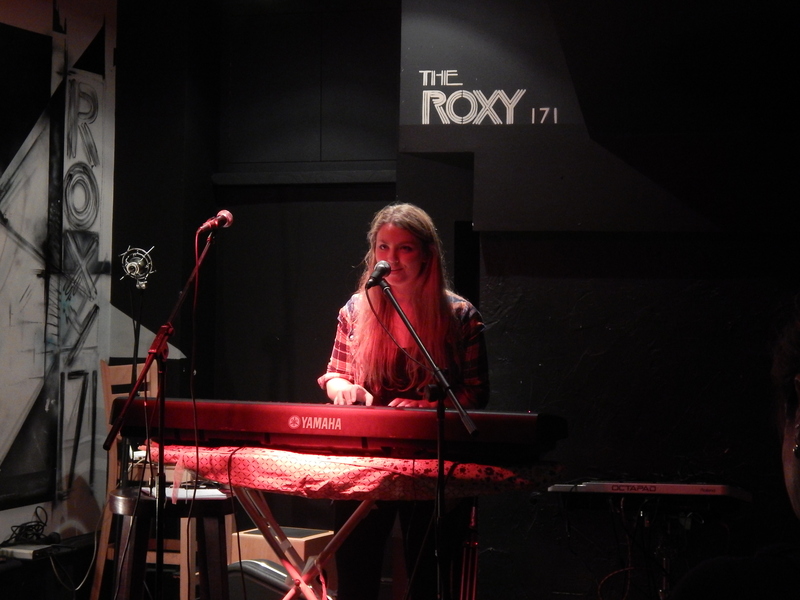 First up was the fantastically talented Josephine Sillars, a singer-songwriter based in Glasgow. Josephine turned up with her Yamaha and an ironing board; instantly I knew I was going to love this girl. I’d watched her music video ‘Hurricanes’ online so I was expecting a pretty good show, but had under estimated just how good a pianist she is. Her set showed off her composition skills to the max and despite being really tired (she had just moved flat) she sang as well as she played. 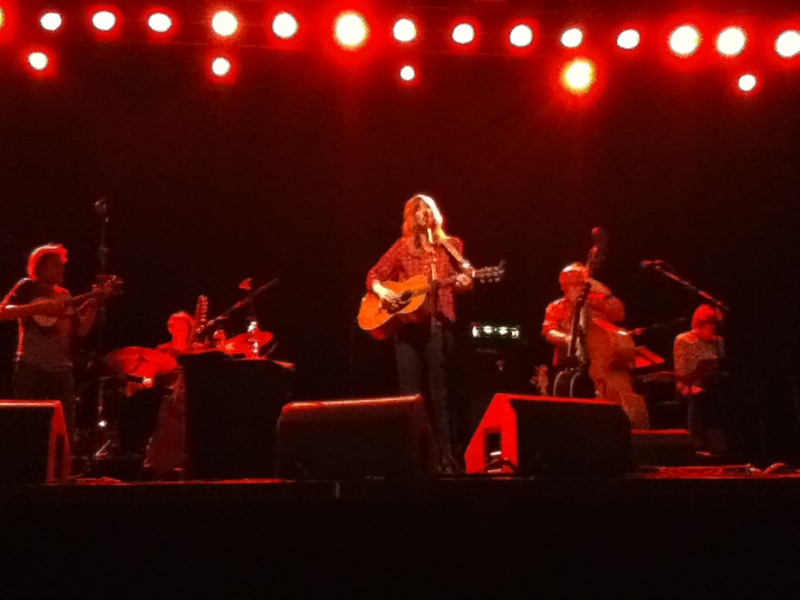 Being a literature student, her songs, as you’d perhaps expect reflected her ‘nerdy’ side, with lyrics inspired by Seamus Heaney, random meetings and werewolves. 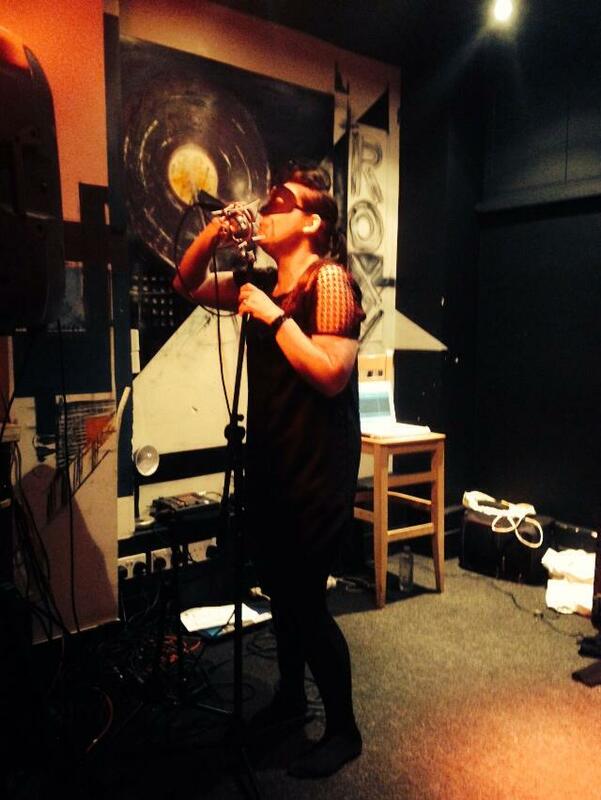 To be fair, Josephine has been working on the Glasgow based web series ‘Cops and Monsters’ and the werewolf song is from that project, but she is a self-declared nerd and her lyrics are well worth paying attention too. My favourite track from her set was ‘You (Are Not The Reason)’ which you can listen to on her tumblr page. Next up was Megan Airlie with her ukulele, playing a mixture of original material and covers. She was joined for the last two songs in her set by a guitarist and percussionist, which was lovely and really provided a nice contrast to the rest of her set. Her voice is mature far beyond her years and her cover choices alluded to her musical inspirations; 60’s surf pop (Beach Boys) and jazz (Nat King Cole). Her cover of L-O-V-E was really nice and my favourite track from her set. 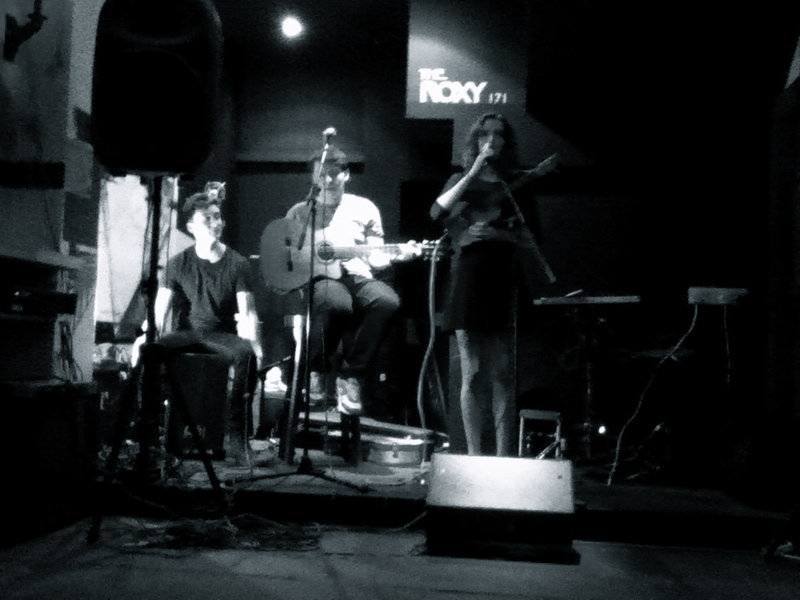 Then we had an acoustic show from Model Jet Pilot, who are usually a very noisy 5-piece. 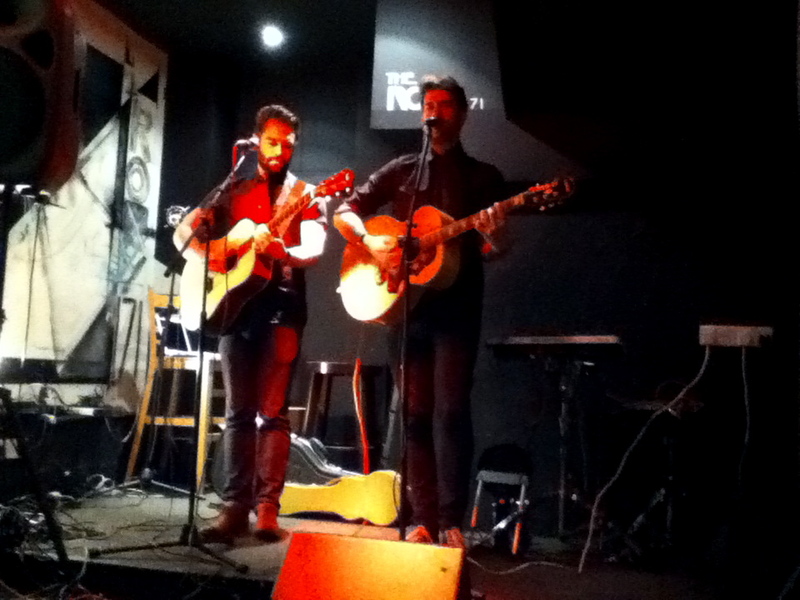 We got treated to two boys (Ross & Gordon), two guitars, some catchy tunes and slick harmonies, I really think they should record an acoustic EP but will also make an effort to catch there full band show at some point, as I imagine it would be right up my street. They played a mixture of old tracks from their ‘Welcome To The Future’ LP and a few new ones too. Their online presence seems to be pretty limited but you can check them out on bandcamp. 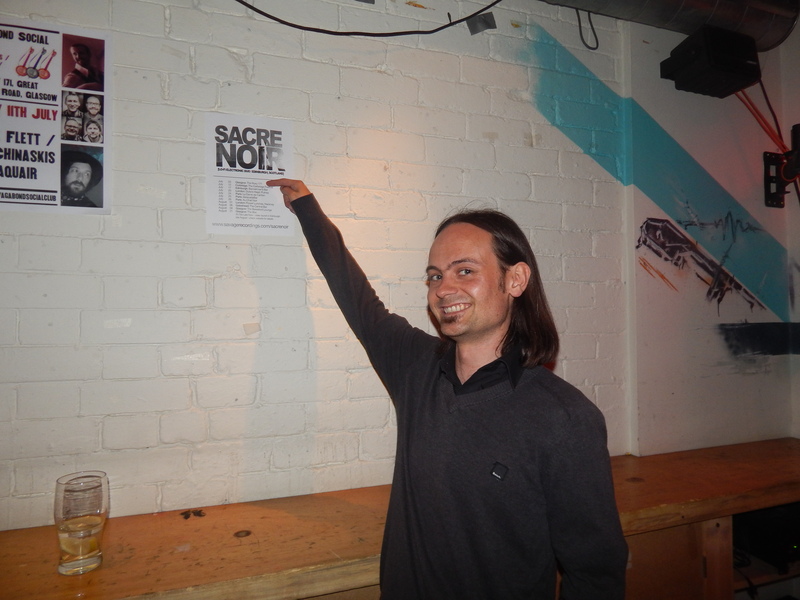 So finally it was time for Sacre Noir to take to the stage. We started the set with a new, unreleased track ‘Heartache’ and finished with the next single ‘It’s Too Late Now’ and filled in the rest with a mixture of tracks from both LPs and even debuted a live-loop version of ‘Print Message Here’ from the Demo Recordings III EP. We played 3 unreleased tracks in total and they all felt good. ‘Rebels & Loners’ is a classic Sacre Noir ballad and ‘Afrika’ (soon to be re-named) is a more up-beat track, so they both had their own vibe to bring to the ebb and flow of this set, which I felt worked really well. Our sound engineer for the evening was Neil from KIC Studios, who did an amazing job and we can’t thank both him and Charly enough for helping us have a great first night of tour. Our next gig is as a trio with Phil on guitar at the Corbridge Festival next weekend. Set in the beautiful grounds of Tynedale Rugby Club in Corbridge, along side the live music there will be range of attractions to entertain the whole family. Headliners this year are Big Country with Rozalla and Ball-zee also on the bill. We will be performing for The Academy of Music & Sound (around 5pm) with some other fab acts taking to that stage from midday. There is also and acoustic stage with great acts like Talk Like Tigers (who we’ll miss due to clashing stage times) and Chris Helme (Seahorses) so once we’ve wrapped up on our side of the field we’ll need to flip a coin to see which stage we’ll end up at for the rest of the night.